General Grabber X3 is for those wanting to conquer terrain. General Grabber X3 is for those wanting to conquer terrain. This General mud terrain tyre delivers outstanding off-road performance, coupled with good street manners. 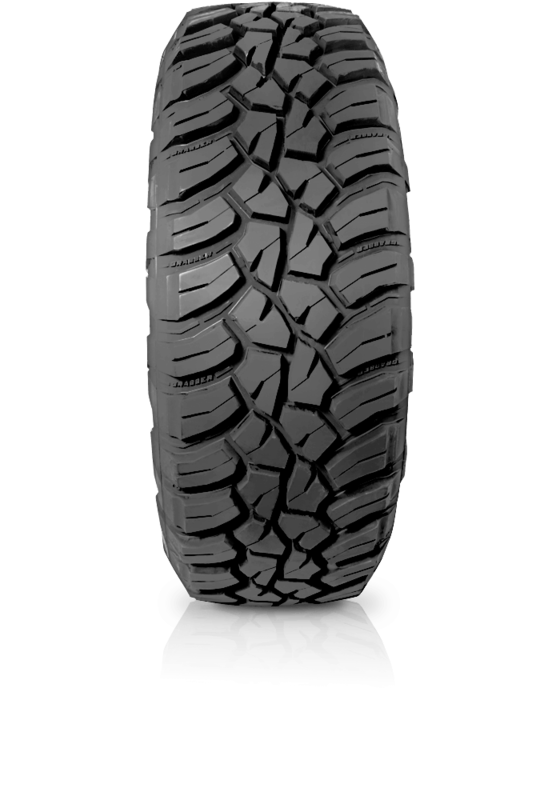 The Grabber X3 offers aggressive styling and is engineered for durability, with innovative tread features. Grabber X3 is for those who enjoy extreme off-road maneuvers and features an aggressive and open pattern design that grips extremely well in muddy terrain. The pattern has efficient evacuation channels to ensure a quick self-cleaning action. Experience superior grip on firm, lose or boggy ground with innovative tread design that provides additional biting edges. There are stone bumpers to protect the tyre and minimize stone drilling for long-lasting off-road fun. The Grabber X3 allows one to conquer with confidence: the exceptionally robust and durable tyre remains vigorous even in harshest conditions. With excellent grip and strong sidewall protection this tyre is certain to impress.